For five years, Sarah Hummer had no explanation for her infertility. With nowhere to place the blame, she and her husband assumed it was stress-related. She’d recently begun practicing yoga, but was in search of a new studio that provided a more restorative and holistic experience. After years working at a marketing and communications firm in Georgetown, Sarah transitioned to a healthcare consulting firm in Tyson’s Corner. But the bigger the practice got, the more corporate it felt. If there was any stress remaining in her life, this was it. Over the next six months, Sarah trained with Diego del Sol to become a Yoga del Sol instructor. She completed the training and began teaching. After much deliberation, Sarah decided to quit her job at the consulting firm. 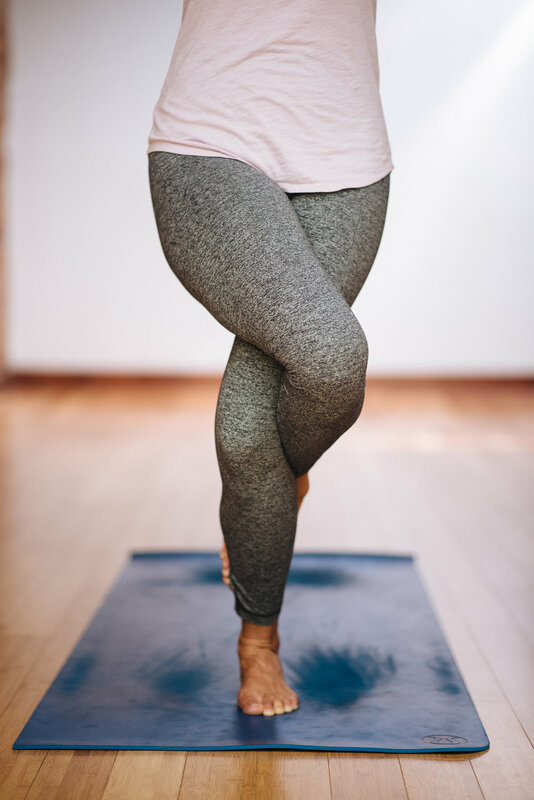 Sarah explored prenatal yoga, using herself as a guinea pig each trimester to determine what her body responded to, and began building her own practice. After Sarah had her daughter Leigh—now six months old—she felt like she needed yoga the most. Sarah draws from her own experience as a new mom—and someone who struggled with infertility for years—to teach her yoga students in a way that feels more authentic and personal. She says more and more teacher trainings have become nothing more than memorizing a set of poses and operating from a script. Yoga del Sol and Sarah’s new pre- and post-natal yoga classes both dig deeper. Traditional yogis get up at 4am every morning to take on such challenges, typically practicing for two hours. It’s a beautiful, incredibly unrealistic practice for most people, new moms at the top of the list. Sarah practices daily, but sometimes that means 15 minutes on her mat, or a few conscious breathing exercises. So, too, do the aches and pains. Sarah’s husband is a yoga convert, but stopped attending Sarah’s classes to stay home with Leigh. When his back started seizing up, Sarah showed him how to practice every morning on his own. The pain almost immediately disappeared. It’s this focus on both mind and body—and the realization that they’re inextricably connected—that speaks to Sarah and so many others, particularly in a city full of noise. And the sound of your baby’s breath.